Ideas are a dime a dozen. But stories are forever. I remember when I began to get serious about writing. I was in my early twenties. One of the things that really worried me is would I have enough ideas for stories? It worried me. At the time it only seemed I had one or two ideas worth developing. It didn’t look good for the long term prospect, haha. But I will tell you a little secret only writers know. Ideas are a dime a dozen. Taking those ideas, and shaping them into a story, however, is the harder part. 3. Boy gets girl back. That’s right. 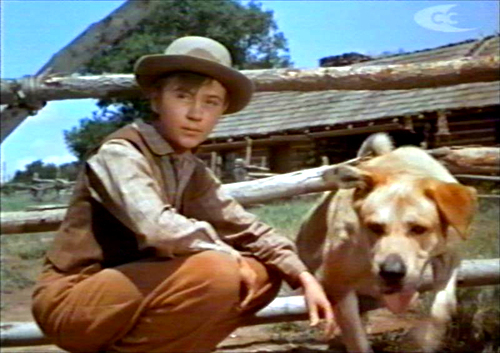 Old Yeller is a “boy meets” girl story changed into a “boy meets dog” story. And the real strength of the story? It’s a “boy meets something” story that is a lead-in to an even stronger story theme: A boy grows up to be a man. That’s what we do as writers. Ideas are easy. But when you get your idea how are you going to develop it into a memorable story that says something about human character? Ideas are easy. The writing that comes afterward…that takes a little more doing. What I learned from Hemingway’s The Old Man and the Sea, and why it scared me. Love your using Ol Yeller as an example of changing around the “boy-meets-girl,etc.” idea. Human character traits become personified, animated, robotized, serialized–and on and on. The joys of writing!